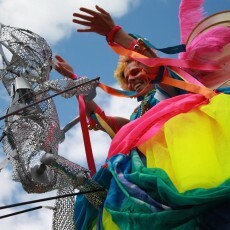 Carnival is our annual highlight of fun, colour and revelry. 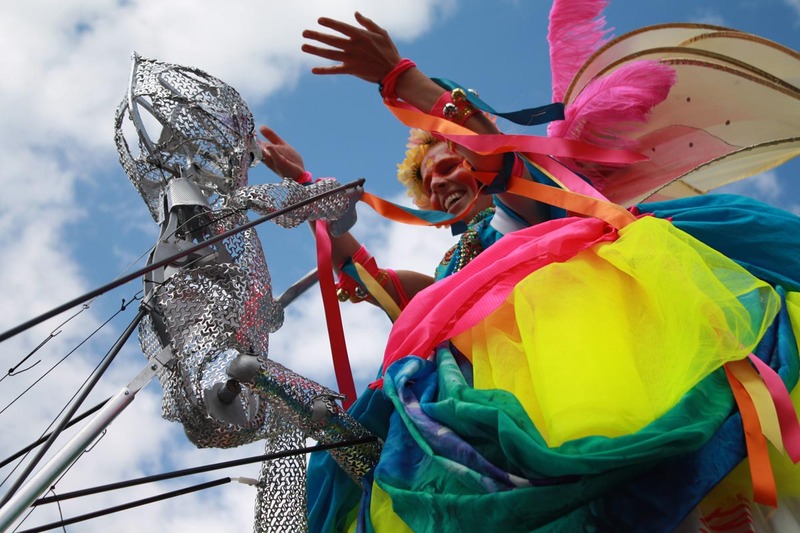 We enjoy extending an invitation to young people, adults, artists and musicians to come up with new and exciting ideas and themes that can get a troupe dancing on the road. 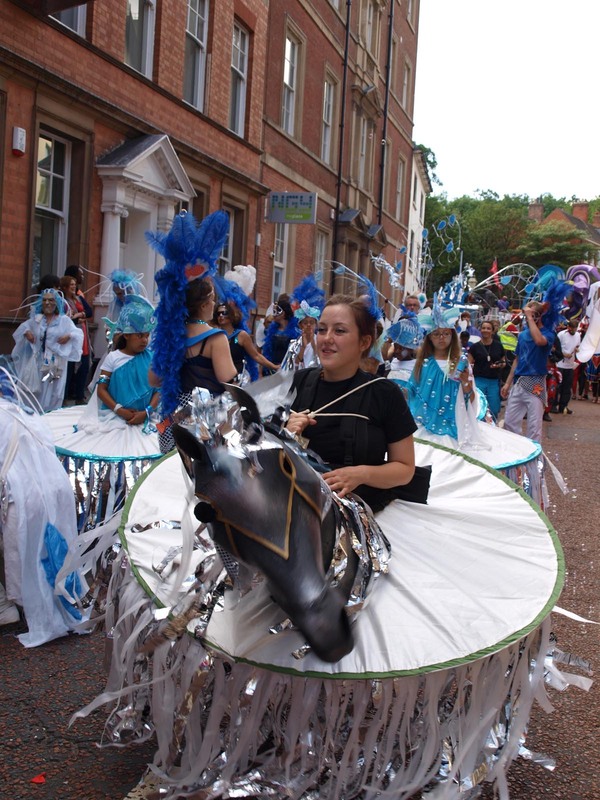 City Arts has been putting a troupe on the road with Nottingham Carnival since 2007 when we worked with young people and communities from St Anns. 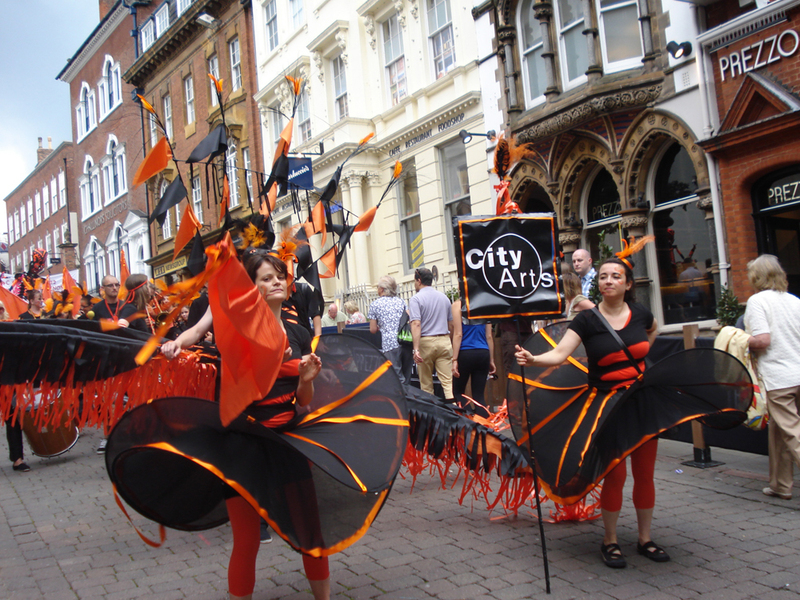 Since then we have worked with hundreds of revellers, young and old, creating large scale costumes, choreography and bringing live music to the street. 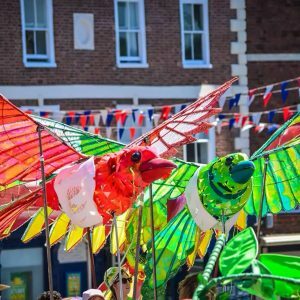 We use carnival to bring as many projects and artists together, creating a creative platform to showcase our work – and to have as much fun as possible. Carnival 2013 told the story of the seas, and the pollution in them. The tidal waves of the Pacific and the Atlantic Oceans pull in particles of discarded plastic creating a vortex of rubbish, leaving nothing else for the fish to eat. To hight this the troupe costumes and our float were created out of leftovers – old plastic bags, water bottles, bits of packaging, costumes from old projects, and much more. Once again our troupe was supported by the Redhill Extended Schools Partnership. The artists involved included Sarena Kay, Jessica Kemp, Ceri Howells, Nathan Bainbridge, Stephen Jon and many more. 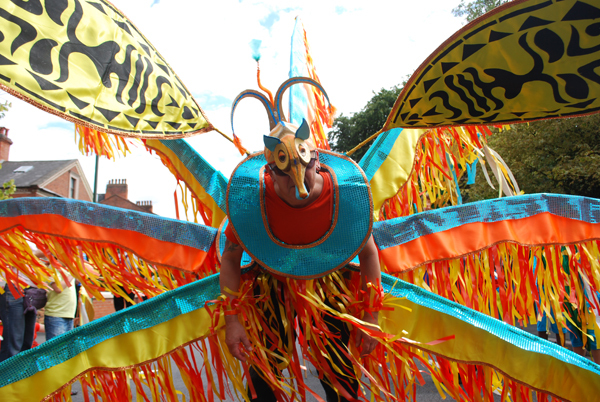 Following on from the success of the Haiti themed Night of Festivals 2012, our Carnival theme was inspired by the artists we met. 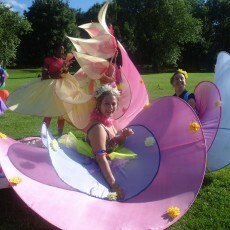 Rara rhythms and Haitian carnival characters inspired new dances, masks and costumes. 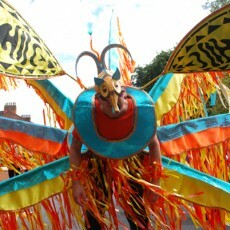 Designs inspired by Polynesian masks and warm colours were the order of the day in 2011. Artist and performer Stephen Jon was in the King Costume on the day, bringing energy and sparkle to the troupe. We worked with a small group of young people who were part of a summer holiday programme. City Arts Alison Denholm revisited some of her old making skills, creating a fantastic King to lead the troupe and a set of costumes for the group. 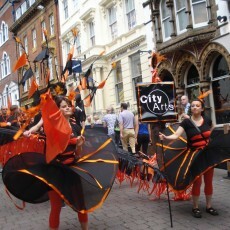 Imagination: Our Nation and the Nottingham ImagiNation programme shaped our troupe this year. 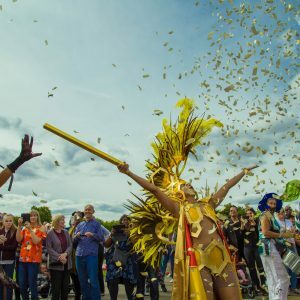 We worked with Manning Girls School, one of their pupils took the lead in choreographing the dance troupe, with costumes made by artist Rosie Hobbs, and Mark Evans leading on the percussion. 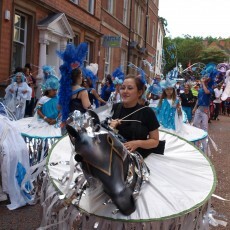 Starchild and the Nottingham Goddess led the way, and we were delighted to hear that the troop was voted second in two of the award categories – best troop and best multicultural troop. 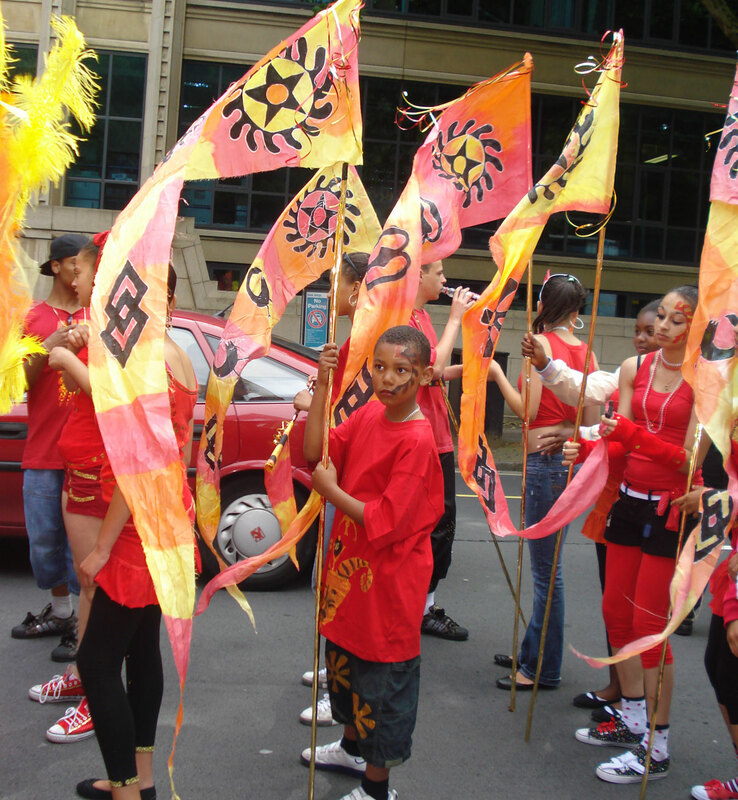 City Arts’ youth project worked in partnership with Independent Street Carnival and Freedom Arts to design and create a carnival troop. We worked with artist Rosie Hobbs, with support from the artists at Freedom Arts. 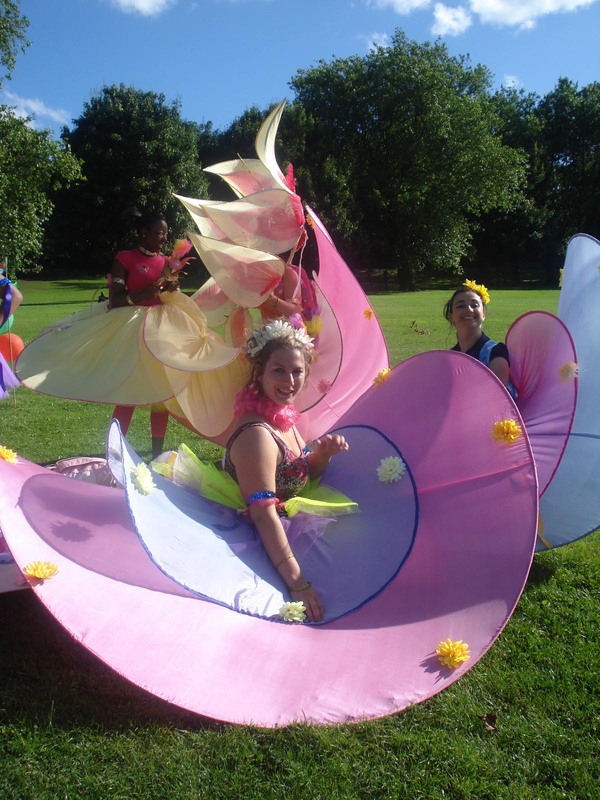 The group were inspired by Japanese Harajuku style, carrying re-designed parasols and tutu’s. 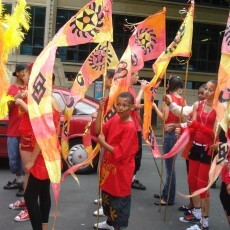 For our first year of Carnival we work with the Chase Neighbourhood Centre and the Youth Inclusion Project based there. Inspired by the 200th anniversary of the abolition of slavery, we used West African Andinkra symbols as a motif throughout the work, referencing liberation and freedom. Artist Jessica Kemp was supported by Alison Denholm and the team at the Chase Centre. 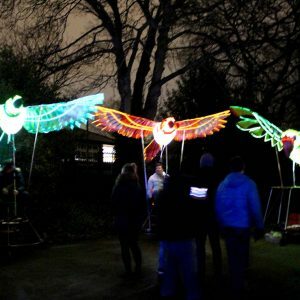 Local people, young and old, were invited to join us and a fine troupe was assembled.